If we have less than 10 or more than 50 can we still book a tour? We are unable to book in tours for groups bigger than 50, however we are currently trialling guided tours for individuals and smaller groups of under 10 - please see our guided individual tours page. If there is only a small group of you, you would be very welcome to visit us independently of a tour, please see the independent visitor tours page and the relevant FAQs below. Can we join onto an existing tour? We are not able to add on independent visitors to already established tour groups, except for those dates as shown on the independent visitor tours calendar. 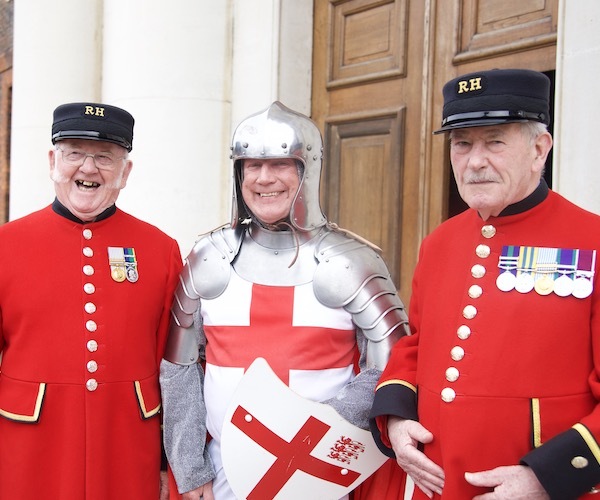 We are only able to take bookings for private groups of between 10 and 50 people, and are not able to add on independent visitors to make up numbers (Please contact the Heritage Team today by calling 020 7881 5493 or by emailing tours@chelsea-pensioners.org.uk). 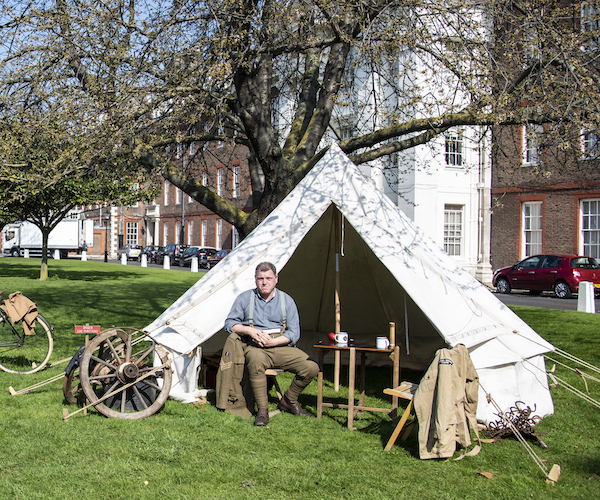 If you are not affiliated with a group, you are more than welcome to visit the Royal Hospital Chelsea independently. What happens if I need to cancel my tour? Please refer to the cancellation terms in the terms and conditions sent to you upon booking. We are unable to give refunds, but in the case of extenuating circumstances, it may be appropriate for us to rebook the tour for a later date. Can the tour still go ahead if we’re late? Tours operate around the schedule of the Royal Hospital Chelsea. If you are going to be late for your tour, please make us aware as soon as you can by calling 020 7881 5493. Depending on how late you are running, the tour my need to be cancelled. Where should we go if we arrive early? Tours operate around the daily schedule of the Royal Hospital, which is why they run at set times. If you arrive early for your tour or lunch slot, we have a Visitor Centre on site (located by the Chelsea Gate) where you are able to go if you are early. 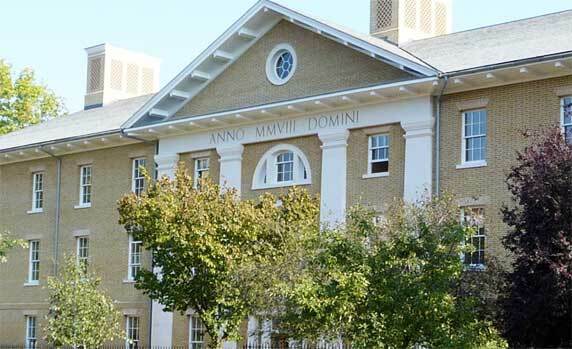 The Visitor Centre has toilets, a video room – playing an introductory video about the Royal Hospital’s history. There is also a gathering room with tables and chairs, and vending machines for snacks and hot drinks. All Coaches and Minibuses should arrive to the Chelsea Gate. If you are arriving by public transport, the tour meeting point is also the Chelsea Gate. If your group is arriving by Public Transport and going to the Café first, arrive at the London Gate as that is where the Café is situated. Please see the visit us page for more details. How long should we allow to get from the Chelsea Gate to The Coffee Shop? Groups who are going to The Coffee Shop before their tour should allow 15 minutes to get from one side of site to the other. For example, If you have a 13:30 tour, please start making your way from the Coffee Shop to the Chelsea Gate at 13:15. Will refreshments be available on site for before and after the tour? The Coffee Shop (situated in the Royal Hospital at the Margaret Thatcher Infirmary) offers a range of cold and hot beverages, soups, sandwiches, jacket potatoes, and assorted cakes and pastries. Space can be booked for tour groups only (bookings for over 10 people). Booking must be arranged in advance, but please note that due to capacity constraints, your group may not necessarily be able to sit together. Please note that the tour covers internal and external spaces and includes 10 steps to the Great Hall and Chapel, although there are benches located throughout the site should you require to sit down.